Are you the life of the party? Do you like being the friend with the great food and drink recommendations? Are you a walking Yelp review for the best bars within a five-mile radius? Then you deserve to live in a neighborhood that fits your lifestyle. Well, look no further — Midtown was made for you! This featured neighborhood is the hub of trendy AF bars, Insta-worthy brunches, and latte art so pretty, you tag your snap #nofilter. Welcome to Midtown! Well, let us tell you a little something: Midtown whispers to those who belong, no matter how far they may be. Every time you sit with friends at an okay-joint, and speak up about a great new gastropub around the corner, that’s the chic foodie in you. Every cocktail you snap for the Gram with a glitter gif, that’s the social butterfly in you. Every time you and the bestie take turn snapping pics, that’s the good friend in you. This neighborhood is for those that never want to be too far away from a good afternoon that turns into a great night. But in all seriousness, this neighborhood isn’t just one big club. It’s got so much more to offer. Midtown is aptly named, placing you in the center– ahem, sorry, middle– of it all. With plenty of BCycle and METROrail stations throughout, it’s a walkable community with a trendy vibe. Where do we begin? With brunch, obviously!! One of our locators, Jessica, swears by Weights + Measures for their weekend brunch menu, which includes delicious plates such as Pan Seared Salmon Fillet, Baked Brioche French Toast, and Morning Cracked Egg Pizza. No brunch would be complete without a nice drink, so add a classic mimosa or try their “Apple a Day”! Enjoy the outdoors? Same! After enjoying a brunch with the besties, take a stroll through Midtown Park, with beautiful surroundings including an art wall, reflecting pool, garden walk, and even a playground for the kids. A great little green getaway just a short trip away! Whether it’s date night, or you’re wanting to celebrate being fabulous, Oporto Fooding House is the spot to hit up for all your boujee Instagram pics. With small plates ranging from Pimentas to Portuguese Squid Fried Rice, you’re sure to find something you love! This chic eatery is all about style, so grab that cocktail dress from the back of your closet and grab a friend and head out to Oporto for a night your followers are sure to envy. For all you modern art lovers out there, Samara Gallery is one of many art galleries around town that you’re sure to enjoy! Located on the intersection of Isabella and Main, Samara is open Thursday-Saturday 12-6 pm, so it’s an exceptional way to spend a nice afternoon with a friend, or hit it up solo! 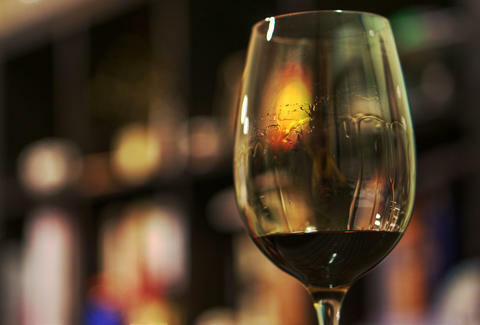 End your evening with a laid-back vibe and a glass of quality wine at 13 Celsius, your new favorite spot. 13 Celsius has over a hundred wines to choose from, along with a lengthy beer and snack list. Pair literally ANY of their drinks with some cheese and a baguette, and you’re in for a night of delicious flavors in a wonderful ambiance. There are TONS of apartments around Midtown. And here’s the cherry on top: the apartments here are just as fab as the rest of the area! With great amenities and walkability to food, drinks, and entertainment, you’re sure to love it here. Luxurious properties such as Mid Main Lofts (pictured above), Pearl Midtown, or Midtown Houston by Windsor are just the tip of the iceberg. So what are you waiting for? Call/text us at 713-482-1323 or fill out the apartment search form so we can hook you up with a new apartment and a new neighborhood!